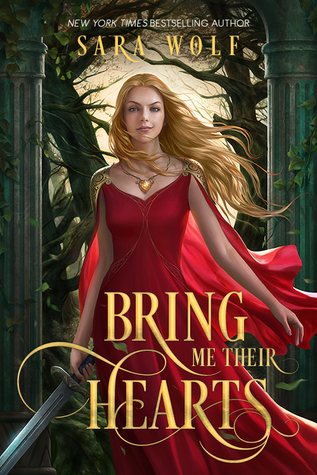 I won't leave a synopsis here, since this book was featured in my Friday post but if you click on the title, the link will transfer you to the Goodreads page of the book. My review is coming this week! In 1777, Captain Isaac Pearson joined the British Army when he believed the Colonial Rebellion would be dispatched with effortless haste. 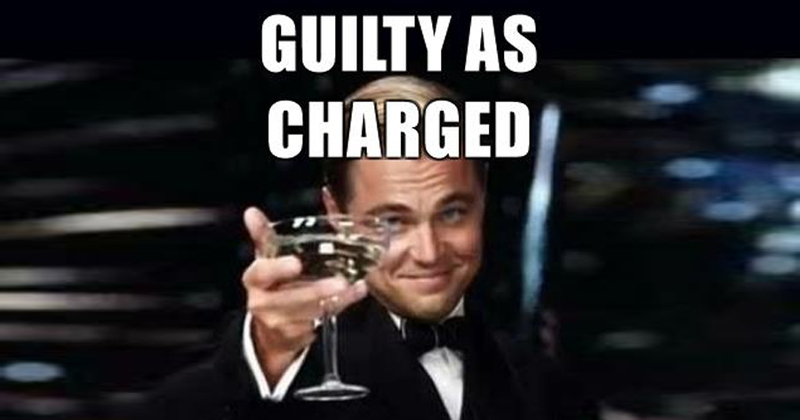 Taking a few American lives was an agreeable price for the pampered aristocrat who believed his actions in the conflict would afford him honor and glory. Yet, the path Captain Pearson rode was neither honorable or glorious and the price he would pay was beyond his imaginable fortunes. Time is the enemy of all, the hunter of the hunters whom no measures of tenacity or weaponry can defeat. Yet, in the early days of America’s war for independence Phantom Regiments, ruthless shadow units, British Redcoats, American militia and crazed me of the occult race to acquire a mysterious Iroquoian artifact which offers the capacity to defeat time. Set in New York’s Hudson Valley, the contest for time will marshal tragic desperation and horrific ends. 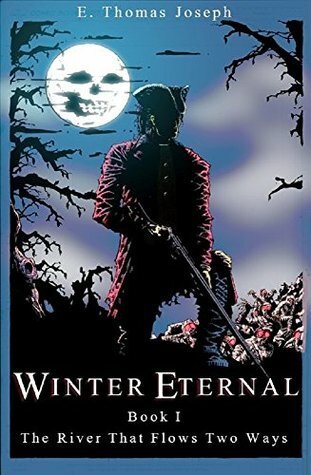 Winter Eternal, uncovered from layers of dust, deep within the archives of America’s Untold History are the tales of the soldiers and the citizens who sell their souls to pursue the mysterious Native talisman, the Kahontsi Ehnita; the Giver of Life…A revolutionary war has begun. Please don't forget to leave your WWW links below! Happy reading! As a teenager I was a scaredy cat. Truth be told though, I always felt I was missing out on something when my classmates spoke about the horror films they'd watched. They were always so excited about them. I've been an adult for some time now and still, until recently horror didn't attract me that much. However, after watching The Woman in Black and The Exorcist in the theatre in London and reading my first Stephen King book, things changed. I feel like I want to face my fears of the supernatural, especially evil spirits and haunted houses. 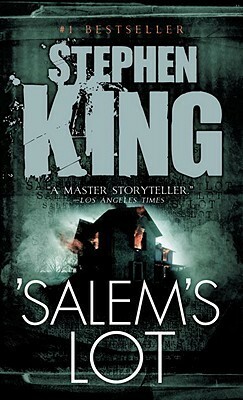 This was the first modern horror book I ever read. A small town falls under the influence of a powerful vampire and hell breaks loose. It impressed me how much inspiration Mr. King drew from the classic vampire stories, especially Bram Stoker's Dracula. 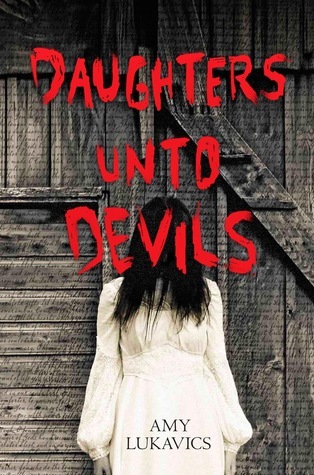 Actually this is only one of the books of Amy Lukavics that I'd like to read; earlier I hauled Women in the Walls which looks and sounds just as creepy as Daughter Unto Devils does. I'm really curious about this author's stories. 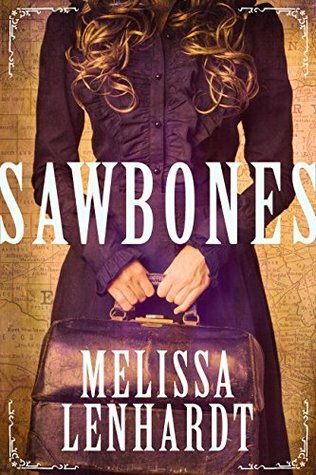 Although I gave Sawbones three pineapples only, it kinda fuelled my hunger for more stories set in the wild wild west. Poetry is food for the soul. There are so many poems out there that I know would give me the feels and I have to find them. And read them. And read them again. And again. Reading a book filled with poems is a lot different than reading a novel but it's not less amazing. 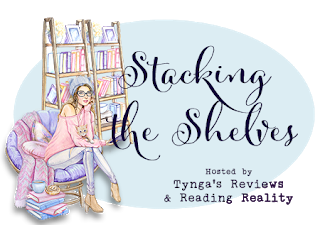 I have so many collections on my to-read list I'd like to dive into! 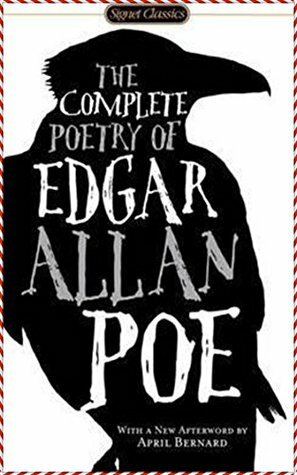 I adore Poe's poems as much as his short stories. The man was a genius. It doesn't take much time to read this thin volume, since he didn't write many poems. The few he did though are deliciously dark and full of crazy imaginings. Hold Your Own is a sequence of poems that tells the story of the blind prophet Teiresias. 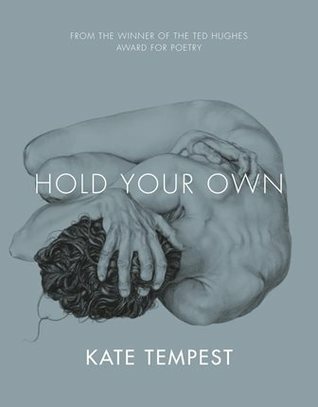 Since Greek myths are close to my heart I have a feeling Kate Tempest's poems will delight me to no end. I grew up on Sherlock Holmes short stories and Agatha Christie novels, however at some point I got bored with this genre, I'm not even sure why (probably I read too much of it if that's possible at all). Recently I've been trying to find my way back to it and I hope to rediscover it in the future. 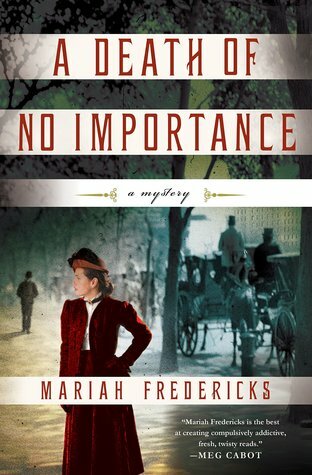 This series is pretty awesome: it has Sherlock Holmes-like crime solving, a touch of the paranormal and gay romance too. It is the perfect combination of things I like to see in books. A ladies' maid is the one who tires to figure out who dun it in this one. I like the historical setting, can't wait to lose myself in 1910, New York City. I can only come up with the same reason I did for horror I think. These days I'm like: Give me everyhing supernatural! Also, I like reading about creatures like vampires, werewolves and such. 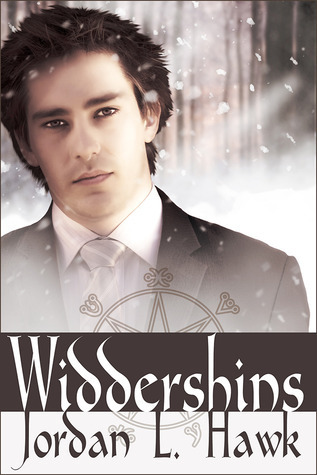 Paranormal romance is something I generally enjoy too, often more than plain romance. I have somehow skipped these kind of tales lately, which is a shame. I should definitely pick up more novels from this genre. No list is complete without a Gaiman book (if you've frequented my blog in the past year you know this philosophy of mine already). 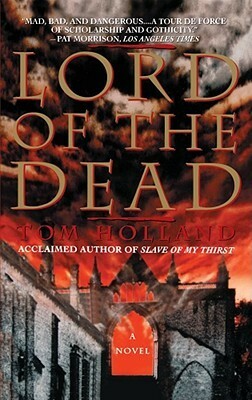 This is my second favourite out of his novels; it's witty, funny, scary, sad, happy... you name it. Such an enchanting book. Lord Byron becomes a vampire. What genres would you like to discover more? Is there a genre you've never tried? The legend of Aimée Dubucq de Rivery, has survived on three continents for more than two hundred years. The Stolen Girl tells the first part of her extraordinary story, her adolescence on the Caribbean island of Martinique, and her voyage to Paris where her hopes of finding a husband are shattered. Resigned to live as an old maid at the ripe age of eighteen, she decides to become a nun and sets sail to visit her relatives on Martinique one last time. On the journey, she meets and falls in love with a dashing young Scotsman. But fate had other plans for Aimée, ones that were foretold by an African Obeah woman when she was fourteen years old. The legend of Aimée Dubucq de Rivery is quite extraordinary. She was a distant cousin of Joséphine de Beuharnais (Empress Joséphine later) with whom she spent her childhood together on the island of Martinique. According to the story both their futures had been foretold by a wise obeah woman and everything she said came to pass up to the last detail. The woman had said they would both become queens one day. The teenage girls squealed and clapped taking in the thought first, but the rest of the tale the woman told them began to trouble them as time went by. It seems neither of them could avoid what fate had in store for them eventually. Aimée's destiny didn't lie in Paris as she first wished and imagined, although after she visited the city she didn't mind it very much after all. She didn't become a nun either, no matter how much her young mind had pondered the idea. Instead she was abducted by Turkish pirates and was gifted to the Sultan to be the jewel of his seraglio (harem). Tough luck, you'd say. Well, according to Zia Wesley and her book Aimée didn't have a miserable life in the harem at all. Interestingly Aimée's new way of life suited her sensual nature, excited and challanged her at the same time. What a twist! Obviously the tale told in this book is romanticized to no end. Not by the author only, but by many other storytellers before her and by history itself. We are talking about a legend (there are theories that say that Aimée died on sea when the ship she was travelling with sank), and legends are very often sweetened up as time goes by. 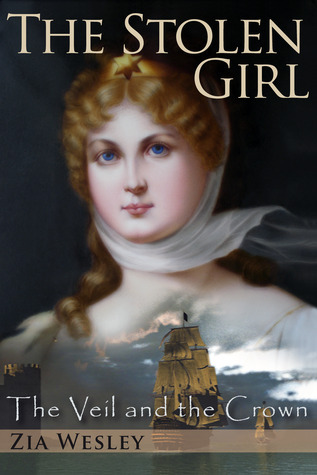 Let's not forget that the original happenings of this story took place short before the romantic era, so yeah... rely on the people of the 19th century to come up with fantastic stories about a beautiful white girl who gets abducted by pirates and gets to live an actually very comfortable life in an exotic place among hundreds of naked women. Anyway, I live for heavily romanticized fiction (it's a weakness of mine...) and therefore it felt like this book was written for me. There's a lot of adventure in it: Aimée is born in Martinique where she is friends with Joséphine, she goes to France, visits Paris, lives in a convent, gets stolen by pirates, is taken to Turkey to be put in a harem... So much travelling, so much danger, so much... fun! She is also a virgin and a deeply catholic girl and it is interesting how she sees the situations she ends up in. Aimée starts out as an extremely naive character. With her willingness to obey everyone and her obsession with religion made her a bit annoying first, however later I warmed up to her a lot because she learns and accomodates easily to whatever goes on around her. The way she slowly pushed her christianity in the background and took on muslim habits was a bit surprising however, given how much her earlier years were determined by the religion she grew up with. She doesn't turn away from God completely I guess (no one asks her in the harem to give up her religion and she is often troubled by how much what she is asked to do goes against the word of the Bible), but she makes a conscious decision to adopt to the new habits of the people around her in order to survive. The writing flows so well, I was lost in the story. The exotic setting and the rich descriptions delighted me. There was a lot of research put in this project, you can feel it while reading the book. I learned a lot about how a harem functioned at the time, what the women had to do, what they weren't allowed to do, how their days passed there. It was very fascinating. I'm grateful this novel drew my attention to Aimée and her connection to Joséphine. I'll definitely read the sequel to learn how Ms Wesley imagnes Aimée's story continued. This was my first week at the new job. I didn't work yet actually, only observed what my colleagues were doing. I'll do that for another week, then my training will start on June 4th. I didn't think that sitting and watching would be as exhausting as it is but the thing is, time would go so much faster if I had active tasks too. Not that I'm complaining, I'm getting paid for showing up and doing virtually nothing for 8 hours so yeah... it's worth it, obviously. However, I'm looking forward to the real training process more and more. 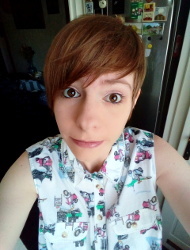 My best friend moved home to Hungary at last and I'm looking forward to seeing her next week when she comes to my town to hang out with me. Good times ahead. 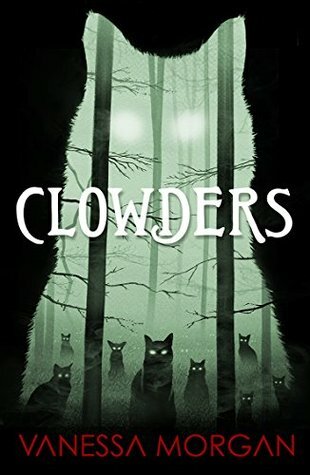 This week I finished Clowders by Vanessa Morgan. It was kind of a disappointment unfortunately. My review is coming next week. 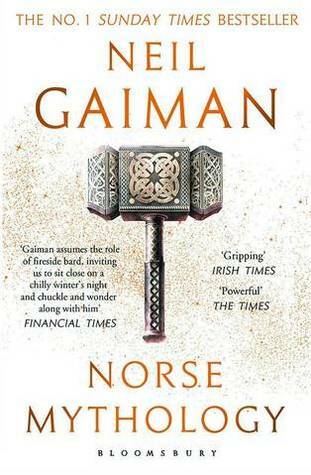 I've started reading Norse Mythology by Neil Gaiman and can't wait to learn more about the Norse gods. I won't lie to you: there are so many ways this book can go wrong or can trun out to be problematic and I'm very curious if the writer managed to do it well or the story trips on itself and its subject material. I haven't read erotica in a while so yeah, let's do this! 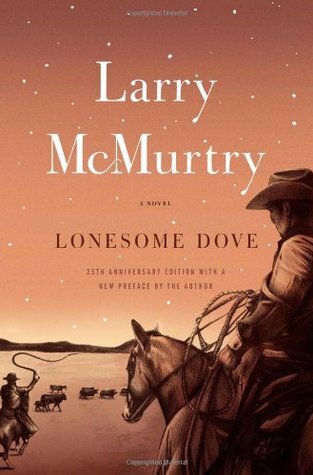 I'll probably start reading this book pretty soon, as my book tour review date is June 15th. You'll hear more about this title on the blog soon. Don't forget to leave a link to your weekend posts! Have a nice one! "Before the beginning there was nothing – no earth, no heavens, no stars, no sky: only the mist world, formless and shapeless, and the fire world, always burning." No surprises here: the beginning starts with the beginning. "They swore oaths then, the mightiest of oaths, the gods and the stranger, that neither side could betray the other. They swore on their weapons, and they swore on Draupnir, Odin's golden arm-ring, and they swore on Gungnir, Odin's spear, and an oath sworn on Gungnir was unbreakable." I wonder if both sides will keep their word. Aidan and Jess' move to Europe may just have been the worst decision they ever made. I'm 60% through Clowders at the moment. There was a change of plan recently and I started Clowders earlier than Norse Mythology by Neil Gaiman. 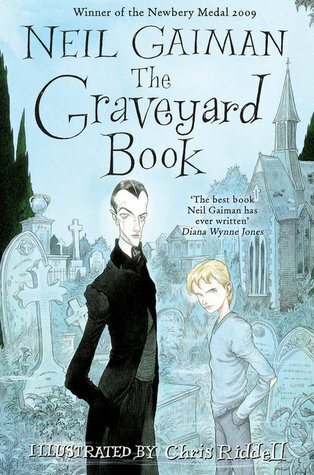 Mr. Gaiman's book is still the next one on my list, for real this time. 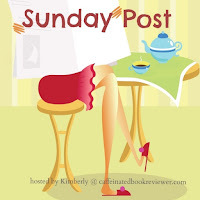 'Tell Me Something Tuesday' is a weekly discussion post at Rainy Day Ramblings. Are you more inclined/less inclined to read books that are compared to other popular books/authors? I'd say more often than not I fall for this kind of luring strategy. I think if a book is compared to another already popular one it kinda gives you an idea as to what you can expect going into the fresh title. However, comparisons can be misleading, not to mention they can create unnecessarily high expectations, which can ruin the book for you. When a book is compared to another one I always go into it cautiously, with moderate expectations and I try not to look for similarities/differences with the other book while reading. The comparison is there to give the reader a vague idea of what they're getting into but it cannot always be taken for granted. Most of the time if the new novel is not a sad shadow of the one it gets compared to and is original in some aspects, I end up being happy with it. How would you answer this week's question?